Innovation in the Built Environment: What could construction look like in the future? Now try to picture a building site in a decade or two’s time. What do you see? Looks different, doesn’t it? You’d be right to think so. The big question, though, is how different? Research by PwC has shown that the construction sector is predicted to experience the third-highest percentage of jobs which will be replaced by automation. The ‘Will robots really steal our jobs?’ report outlines that, across three waves of automation (‘algorithm’, ‘augmentation’ and ‘autonomy’), 40% of jobs could eventually be replaced in construction altogether as robotics take over routine tasks. Only the ‘manufacturing’ and ‘transportation and storage’ sectors are theoretically more at risk. Automation is only one trend that has the potential to significantly disrupt the construction industry. Drones, new housing designs and data analytics/AI all have a role to play here. Whether that role is one that jeopardises jobs or catalyses innovation, however, is up for discussion. What is for certain though is that change is looming. One could write tens or even hundreds of thousands of words on the forces predicted to impact the sector in the future. So, for the purpose of conciseness, this piece will draw on a select few emerging themes which we at Sancroft believe could have the most significant impact on this industry. Dubbed a ‘hesitant industry’ by KPMG, ‘construction’ has an infamous history of consistently-late and over-budget delivery. However, those involved in the industry have seen progress over the past several decades in construction techniques, delivery strategies, health and safety, risk management and governance, with over 80% of KPMG’s 2017 Global Construction Survey respondents reporting confidence in their organisation’s ability to deliver on-budget and within-schedule projects. Now these results may arguably not reflect reality, but there’s no denying that some advances have been made. A second key takeaway from the KPMG report was that 95% of respondents outlined their belief that technology and innovation will significantly change their business in this industry, but only 5% thought their own organisations were ‘cutting edge’. This reflects a serious gap that needs to be filled: prepare for the tech or suffer the consequences. To gain or retain competitive advantage, businesses must start long-term planning and mapping where their risks and opportunities lie. They must develop strategies for addressing this step change and identify which key stakeholders are to be engaged throughout this process. Another interesting finding, which goes against all tradition, is that 74% of respondents believe the significant changes brought by technology and innovation will impact the industry within less than five years. 78% of the respondents also highlighted that they have either developed a data/technology strategy or roadmap or are currently planning to do so. It remains to be seen if this will happen; with the industry’s track record, it’s natural to be dubious of such developments actually happening so fast. The industry has been cited by several global, development-focused organisations – such as the World Economic Forum – as having a key role to play in solving global challenges, including climate change, resource scarcity and rapid urbanisation. Not only does the sector provide jobs, it drives economic growth and is a key factor for governments in both developed and developing economies. Construction has intricate linkages with numerous other sectors and can be linked indirectly with other types of economic growth. Therefore, the importance of developing a robust, but also agile, construction industry of the future where players all along the value chain collaborate cannot be understated. As highlighted by PwC, automation has the potential to severely disrupt the sector. PwC’s analysis looked at over 200,000 workers in 29 countries, including roughly 5,500 in the UK. It found that, initially, women are more likely to be impacted, due to the types of tasks that are more susceptible to automation and current gender profiles of employment. The development of AI will disrupt in parallel; as technologies are able to better analyse and make decisions based on an array of data sources, the need for human input will diminish. One solution here is retraining, which will require collaboration between a range of stakeholders, including governments, businesses, trade unions and educational establishments. Retraining an entire workforce is no easy feat and will necessitate planning that should, really, have already started. Arguably, upskilling workforces of the future across a range of industries should be a government priority and already being addressed. However, as is often the case, business will likely have to pick up the slack. A second PwC study has shown that emerging drone technology has the potential to boost the productivity of the UK construction industry by 3.1% through the additional speed and accuracy it brings to the surveying process. ‘Skies without limits’ theorises that, ultimately, drones could result in savings of up to £3.5bn for construction companies by 2030. Drones can reportedly survey sites 400 times faster than humans and can drive huge efficiencies in data collection and analysis, especially when integrated with building information modelling systems, which together create highly-accurate visual representations of construction sites. This contribution forms part of a potential 2% or £42bn extra onto the country’s GDP, which a fleet of over 70,000 drones could help deliver (nearly 5,000 of which could operate exclusively in construction). Regulation concerning the commercial use of drones is currently under development. A public consultation on the technology closed in September earlier this year, which built on legislation falling out 2017’s ‘Benefits of drones to the UK economy’ consultation and The Air Navigation (Amendment) Order 2018. More information on policies that will be pursued in a ‘Drones Bill’; such as operation restrictions, enforcement bodies and counter-drone technology proposals; was meant to come in late 2018, but is now likely to be published in 2019. A key development which is predicted to significantly impact construction is partial-prefabrication of homes, better known today as modular housing. A deep-dive by Raconteur – which also corroborated PwC’s findings that drones will be a construction technology ‘game-changer’ – has posited modular homes as being “the future of UK housing”. The part-prefabrication approach, which has been adopted in other developed nations such as Japan, involves 80% of the work being done off-site in factories. The nearly-finished products are shipped to site, with only final assembly and bolting left to complete. This technology solves a host of issues relating to efficiency (faster homes of better quality) and quantity (it’s more cost-effective to produce in this way, especially if the design across multiple units is uniform). A host of major construction firms are already on board with the idea. Key players including Mott MacDonald, Kier, Arup, Laing O’Rourke and Mace have outlined their support and are looking into the benefits of integrating more modular construction into their businesses. A handful of organisations, both public and private, have gone beyond this. In the last several months, Birmingham City Council announced a pilot modular 50-house plan which, if successful, will provide the basis for a larger rollout in 2020. In London, TfL has partnered with Apartments for London (AfL), a ‘community-driven property developer’, in order to build much-needed affordable housing on their own land – sites which would not otherwise be up for development. An initial wave of 450 modular homes are planned as part of 10,000 overall individual residences. With growing adoption of the technology and public endorsement from Chancellor Philip Hammond, modular homes have the potential to be an essential component in the delivery of the UK Government’s commitment to delivering 300,000 new homes a year by 2025 (a target which is currently way off-course). From what’s been discussed today, it could be inferred that construction sites of the future will be much less cluttered; fewer people on the ground assembling largely-prefabricated structures with an array of drones whizzing round above their heads performing their former human counterparts’ tasks. But all this is just theory for now. This piece barely touches on the intricacies and nuances associated with the sustainability of, and sustainability within, the construction industry. There are so many other factors to bear in mind and so many technical aspects to consider (such as BREEAM assessments, energy efficiency measures and green building materials). Overall, the construction sector is historically cumbersome when it comes to evolving and adopting new technologies, despite being arguably one of the most crucial to do so. Evolution is very likely to take longer than expected if we are to see drastic change. PwC argue that although some construction jobs may be automated in the long run to boost productivity, greater demand for construction work in the short to medium term will also boost the demand for human labour. Therefore, with housing shortages in the UK and large infrastructure projects such as HS2, Crossrail and the Oxford-to-Cambridge ‘Brain Belt’ currently on the agenda, it’s unlikely that any shocks will be felt soon. It’s this analyst’s opinion that rather than replacing jobs, drones will adapt current practices and facilitate new ways of working. Yes, parts of the industry like surveying may well become largely automated, however there will still be a certain degree of human management involved. This may well also free up labour which can be utilised elsewhere on sites, or even on different projects. If adopted on a large enough scale, modular construction has the potential to completely revolutionise the industry, helping the Government and businesses alike deliver on their own ambitions. We may well see the growth of newer, specialised businesses that can provide these services, thereby disrupting incumbents within the market and triggering changes in their own behaviour. Looking ahead, there’s going to be a mix of humans and automation for a period; a shift in dynamic between ‘human’ and ‘bot’. Pressures on the industry will change: new types of competition, a need to protect workers interests or enhance their employment and training, other needs to invest in new technologies. Don’t expect Terminator-esque-machines-taking-over-the-planet sort of thing, but step onto a construction site in a few decades and it’s very likely that, if compared to 2018, it’ll be a little more tech-y and a little less people-y. As has been said on countless occasions, only time will tell. Keeping abreast of emerging trends in construction is a key part of Sancroft’s ability to deliver strategic advisory services to clients. With extensive expertise in effective stakeholder engagement, planning and development, and modern slavery, Sancroft are well-positioned to help organisations in the construction, planning and development space navigate key challenges and map opportunities for future development. 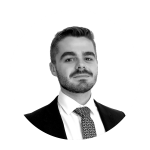 For more information on how Sancroft could help your company, please contact our Senior Consultant, Dom de Ville at dom.deville@sancroft.com.